Custom made reindeer hide boots, made with a smile. For between $566 and $700 dollars can get you into a pair of unty. Winter Khatan Khan (Queen Winter) has gracefully spread the golden steppe, the viridian green taiga with her mink mantle of snow. As temperatures sink, Siberians bust out the fur in droves. 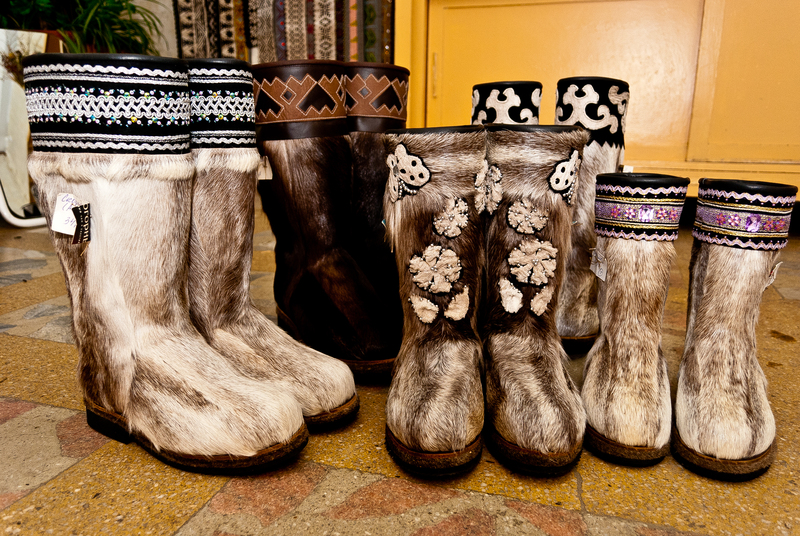 It has become trendy again here in Irkutsk to sport reindeer fur boots, known locally as “unty”. Just a five minute walk from our apartment, Firma Kamoos is a small company that constructs unty. Everyday as I walk by, I wonder, just what they do in their workshop? Winter has come again, so I decided to go meet the workers and learn about their craft. The Firma Kamoos team, keeping your tootsies warm when the thermometer freezes. Nickolai, Igor, Maria, Lyuba, Aleksei, Natasha. Entering the front door, I was greeted with warm smiles, taking an edge off the cold, and suggesting they just might reveal a few boot making secrets. 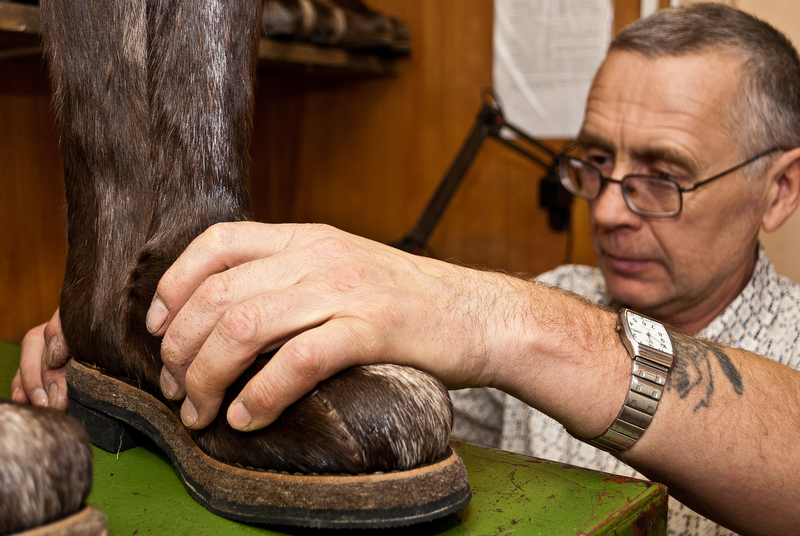 Svetlana Yurievna, one of the owners, said she would be happy to explain her boot making. Svetlana has been in the business 18 years. 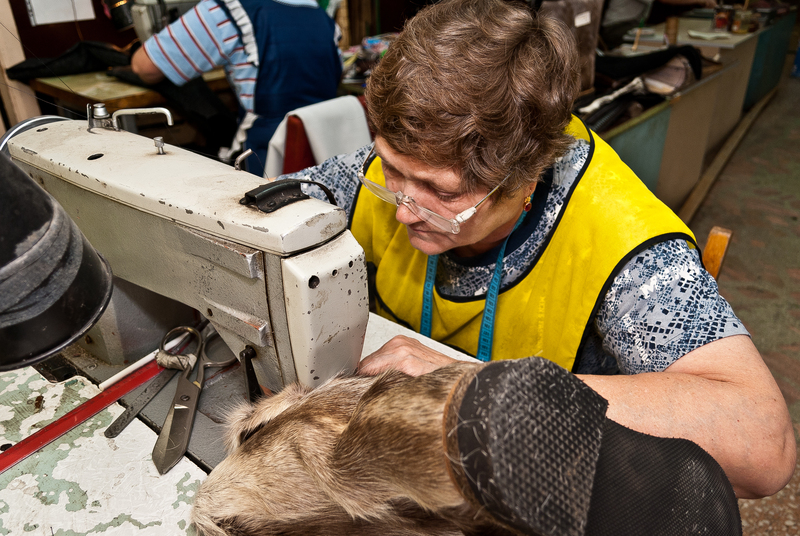 She cut her teeth in the Irkutsk boot factory that ran aground after the fall of the Soviet Union. She and her business partner left the factory and struck out on their own in 1994. While we chatted, customers kept filing in from the cold to check the fit on their recently completed boots. After helping customer # 3, and with more waiting for help, we acknowledged the futility of continuing our chat, she took me into the shop and delivered me into the deft hands of her boot making crew. Unty are made of “northern Deer” hide, or caribou (reindeer) as they are called in North America. 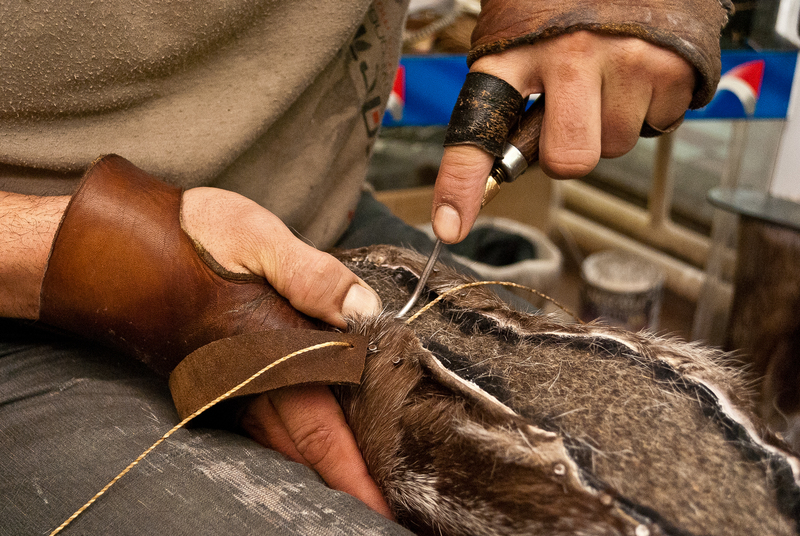 Only the hide from the legs of reindeer can be used, and it takes eight pieces to make a pair of boots. Two reindeer/pair. 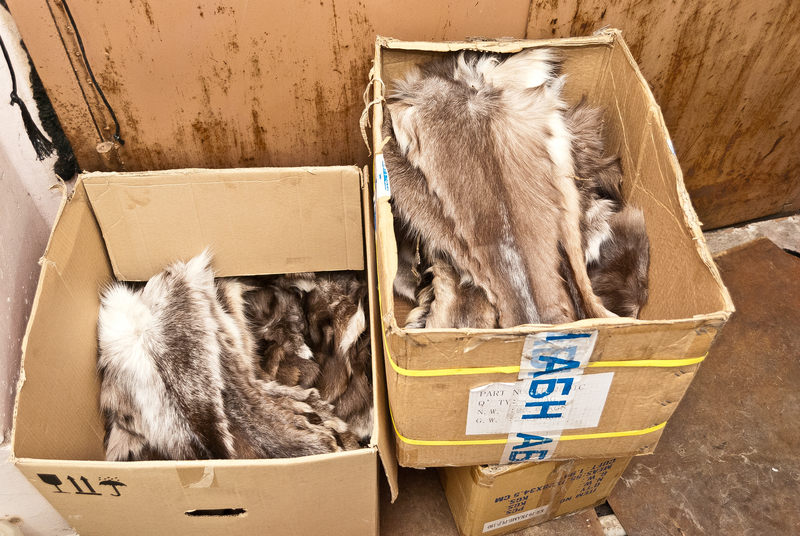 Reindeer hides are shipped in by hunters in the north of the Krasnoyarsk region, Evenkiya, Norilsk, Tymen etc. Unty can also be made of elk or moose hide which are hunted in the Irkutsk region. 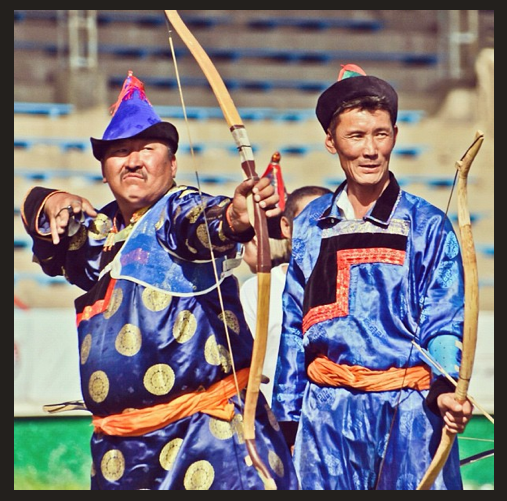 Siberians adapted unty from the Evenk people who are a native Asian nomadic people to Siberia. Much like the plains tribes of North America and Bison, the Evenk people, and other tribes such as the Tofalar, Soyot, and the Tsaatsan of Siberia and Mongolia respectively, live entirely off the reindeer. A new shipment of reindeer hides. 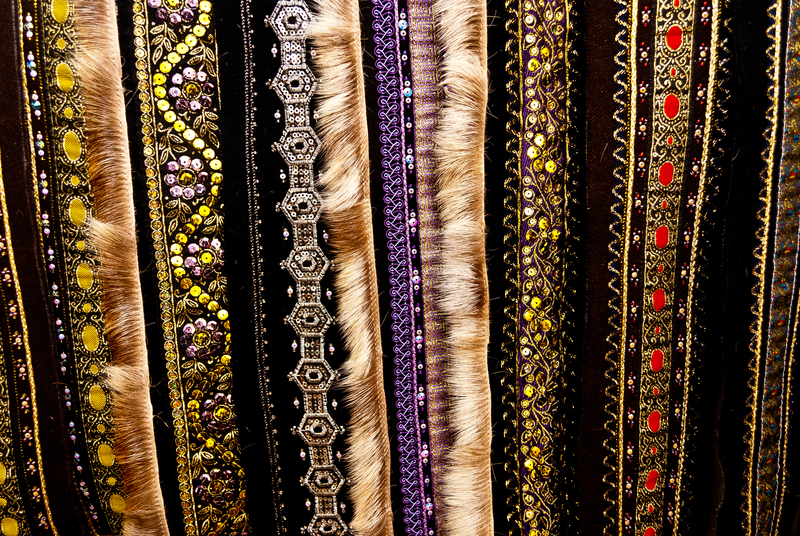 Reindeer hides were spread across the floor as the women sorted and matched them by color. Making quick work of the job, the women were back at their sewing benches in no time, sewing together skins, or trimming them for proper shape. 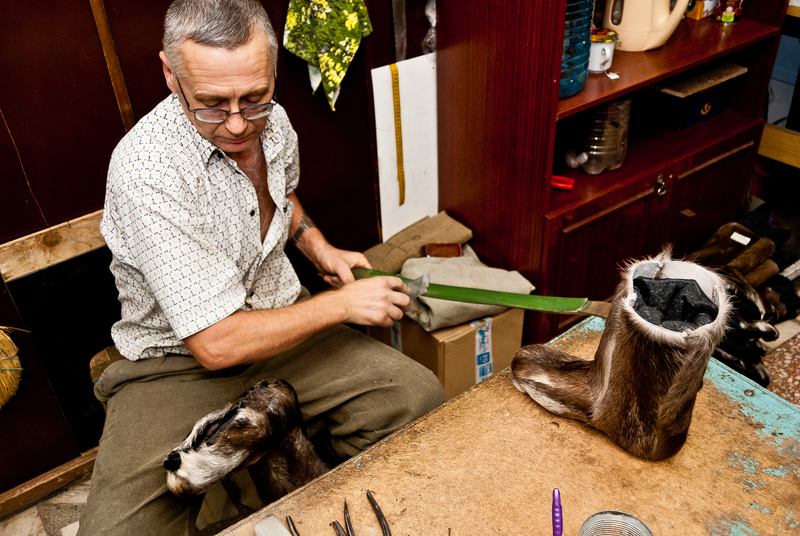 Nickolai is meticulous about his work. I sat down next to Nickolai, a silver haired fellow adroitly pounding nails into the soles of unfinished unty. Patiently, he explained the process of constructing reindeer hide boots from A to Z. There were many boot making terms I was unfamiliar with in Russian; Nickolai kindly elucidated each. Thank you Nickolai! In turn I sat down with most of the workers who shared their part of the boot making process. Maria and Tamara showed me how to trim the skins and how to sew them together with bee’s waxed heavy thread. Igor regaled me with tails of decending the white waters of Siberian rivers, bear and wolverine encounters while he sewed soles to boots. It takes two days to craft one custom pair of unty. 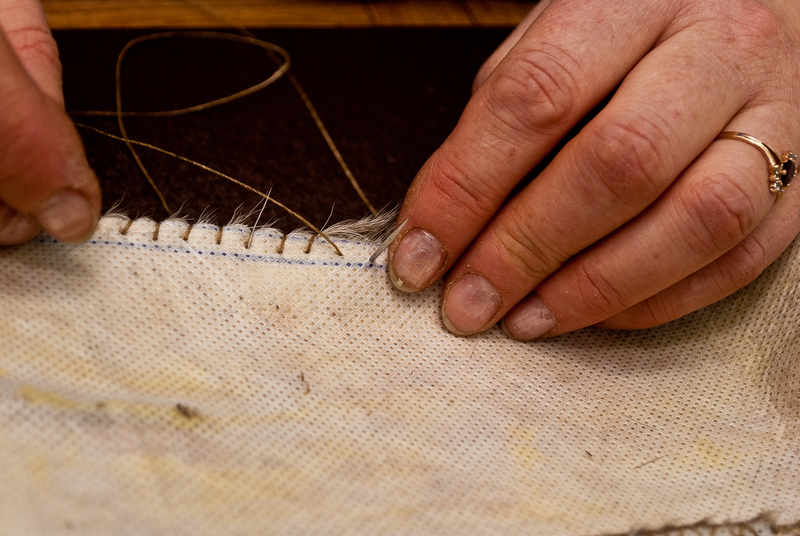 With demand high and months of winter ahead, the Firma Kamoos crew will be cutting, pounding and sewing well into summer’s light. 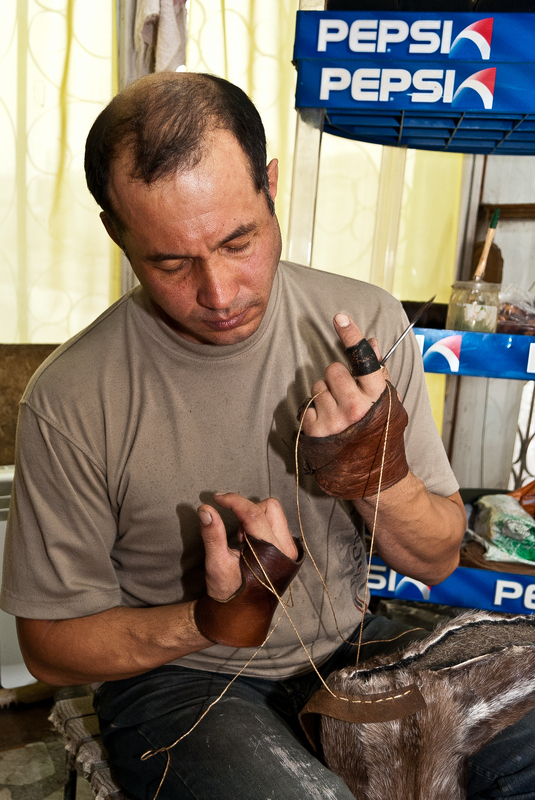 Igor sews on a leather band, to which he will sew on the sole. Add decorative motif and your reindeer hide boots are ready for Queen Winter’s worst! Lots of options to give your boots some flavor. On my way out I stopped to shoot the breeze with Svetlana Yurievna. She told me how she loved her work, and how her crew was like family, how they truly enjoyed spending time together. Her crew has a great attitude, and I could see that they valued working at Firma Kamoos. A feeling of warmth and goodwill followed me out the door as I stepped into the fresh snow still falling from a Siberian sky.